Can the Irish language survive only if there are rural communities where the language is dominant? How important is the Gaeltacht (and what does really mean)? 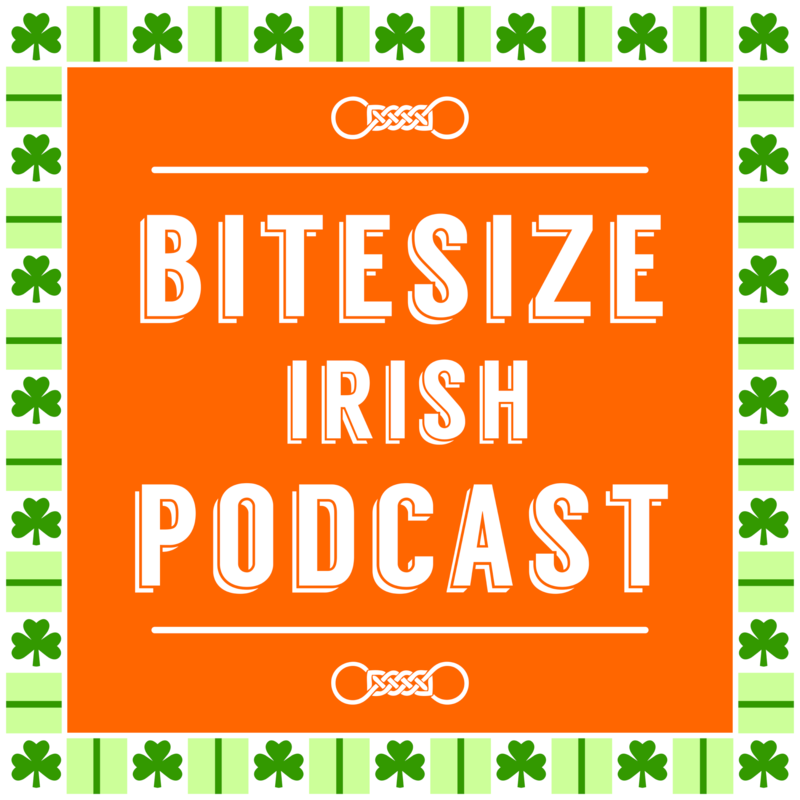 This is the main topic we’ve focused the 73rd episode of the Bitesize Irish Gaelic Podcast. By listening to this Podcast episode, you’ll also learn more about the Gaeltacht (and it’s out of date borders), how important are the rural and urban communities of people speaking Irish Gaelic, supporting Irish language organizations through donations, and of course, the listeners questions. As a bonus, we decided to make a video on this topic – you can watch it below. In a hypothetical Ireland where Irish Gaelic only survived in dispersed urban communities, could the language survive? Or can the language only survive if there are rural communities in Ireland where the language is dominant? For the sake of this discussion, let’s call a Gaeltacht a place where there’s actually a strong presense of Irish language speakers in that area. In practice, there are not many of these villages or areas. For these figures, the Gaeltach regions are those areas designated as places where the Irish language has been dominant. The trouble is, these are old borders. The effective Gaeltacht regions are now much smaller. There were 96,090 persons living in Gaeltacht areas in April 2016, when the 2016 census took place. 66% of those Gaeltacht residents indicated they *could* speak the Irish language. And the trend is that number is falling. The population of the Gaeltacht area in Galway County had the largest proportion of daily Irish speakers at 29%. So there is no Gaeltacht region where a majority of people speak Irish every day. But that’s a bit misleading. In 2012, 26 new “language planning areas” were defined. These are more specific, and a few of these have a majority of daily Irish speakers, like An Cheathrú Rua in County Galway. There are good strong communities of Irish language speakers. Much of it supported by internet connections, on Twitter for example. So there’s a positive vibe for the language with Irish speakers outside of the Gaeltacht. The big question: Where do we focus our efforts? 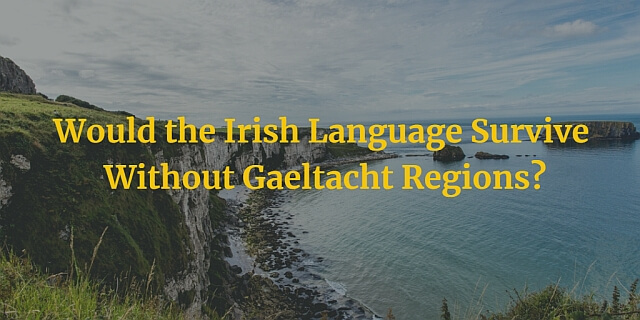 Can the Irish language only survive with traditional Gaeltacht regions? If that’s the case, we have to bet the farm on sustaining these areas. And general consensus, from what I have heard in any case, is that this is a losing battle. You must first survive (so sustain where we do have Irish language speakers). Capitalise on your strong points (and in my opinion, that’s the Irish language in urban areas). But it’s never black or white. There’s always a third option. It’s not a zero-sum game. Helping Irish speakers in urban areas can only help Gaeltacht speakers, and the other way around (as long as we have network effects between the two). A few years back my brother and I visited Galway and heard a lot of Irish being spoken. Interestingly enough we sat next to a couple and their two children in a restaurant and their conversation flowed between Irish, English and Spanish! Dad was from Spain, Mom was from Galway. It was really cool to be there and realize that my ancestors that came from Galway must have spoken at least some Irish Gaelic otherwise how could this language still survive and thrive? We also went to the Aran islands and Irish is about all we heard. They all spoke English but with very heavy accent and not when they we not speaking to tourists like ourselves. You provide such a gift and service! Keep it up! Thanks so much Tamara, lovely to hear of your Irish heritage. Really interesting insight to how a visitor to Ireland will come in contact with the language. It’s probably something we take for granted. Hope you had a lovely trip & I’ll be passing on your kind words to Eoin! Very encouraging, Tamara. Thanks for sharing your thoughts here. Hi Joe, love the concept of the gaeltacht areas being ‘lighthouses of the Irish language’! Fascinating insights into the use of the language in East Belfast & Newfoundland as well. Thanks so much for sharing! Great podcast Eoin! I think that you overlooked members of the international Irish Diaspora who are interested in our heritage language. We want to connect via Gaeilge with Irish culture. The upshot of this movement will be an overall increase in the total number of Irish speakers and preservation of the language itself. That’s a really great point Maureen. This topic may even be worth a podcast in the future. I’ll pass this onto Eoin, many thanks! Yes, absolutely, I agree with you and Paula. In my experience, people in Ireland underestimate the number of Irish language learners outside of Ireland. I’m a 75-year-old American who recently returned from my first trip, a short one, to Ireland, but I’ve always been obsessed by the Celtic languages (my family is from Cornwall and Wales), and when I arrived in Ireland I immediately wanted to hear Irish spoken, which I finally did on Innishmore of the Arran Islands, horse cart drivers. I spoke with several young people who learned Irish in school. Their opinions were overwhelmingly negative, as to how Irish is taught in schools. As one guide said, “I studied Irish for eight years (or so) and French for three, but I’m better at French than Irish.” They all agreed the emphasis on grammar as opposed to actually using the language was counterproductive. The son of a Wicklow farmer said he only became fluent after living with a family in the Gaeltacht. At my age it’s unlikely I’d achieve any proficiency in Irish or have much opportunity to use it, but when has something being quixotic prevented me from doing it, so I probably will sign up for your course. Hi Robert, I respect your attitude: there is no reason not to make the Irish language part of your everyday life! I hope you’ll like it as a member of Bitesize. If the effort is to preserve Gaeltacht culture, it risks ossifying it in a rural past. The development of urban Irish language speakers involves the language evolving into a complex , cosmopolitan, and dynamic urban environment. I would guess urban Irish speakers are developing new words for new concepts. I checked out the Irish TV channel and was amazed to find the series Sully, alienated youth including LGBT youth speaking Irish. If Irish is to survive as a language it will have to develop in contemporary urban settings. There’s a balance to be found, right? But I do agree with you generally! Thanks for sharing your thoughts about what you saw on TV (I presume that was on TG4 Irish language channel). Yes, I was just too lazy to look it up. There is a balance, but the general trend, barring ecological/epidemiological/nuclear catastrophe, is people are moving away from rural areas and towards urban areas. therefore the proportion and number of people living in rural area will decrease over time. Languages with a predominantly conservative (not in the political sense) and rural focus (vocabulary and content) will continue to decline as that rural environment occupies a smaller part of the social landscape. Absolutely agreed. I think the Irish establishment doesn’t want to admit this.